A week ago I went to see my regular eye doctor. I had seen curvy lines and weaker overall eye sight. The doctor said it was dry eyes, but I knew better since I have had dry eyes for years and these symptoms were different. Did see the retina specialist who, after testing, gave me the news of wet AMD (am 73) and also gave me a shot of Avastin into the eye. No problems with the shot - none at all, and it seems that the eye has made an itsy-bitsy improvement. Will see the eye doctor tomorrow after a week from the shot. Am scared at thought of loss my sight, petrified really. Reading is my most dear hobby- I read everything. I am thanking all for writing here as it makes things easier to hear other people's experiences. The biggest scare for me is that this is kind of uncharted waters since every individual is different. No AMD in my family but then again they did not live a long life. Yes, the thought of losing some of our vision is overwhelming. I am 61 and I have the dry kind. 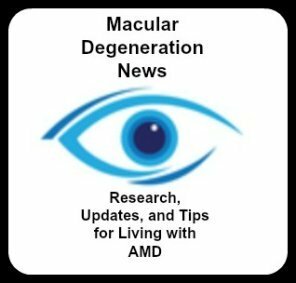 This site is awesome, but also check out Facebook, a group called Macular Degeneration Community. Lots of great support and info. Plenty of research throughout the world and many support organizations to look up. Don't be shy, search the Internet and find loads of education. I write on this site for my mother who is 89 yrs old with dry macular degeneration. She was diagnosed when she was 50 yrs old. We cannot trace this eye condition in my family either, as all family members died in their 60's - many years ago. Her eyesight declined very slowly in almost 30 yrs since diagnosis because she ate all the right food including the recommended veggies, and took the vitamins prescribed by her doctors. Her peripheral vision is still intact, so she doesn't miss to much. It is almost a knee-jerk reaction to worry, but take it a day at a time and keep up with clinical trials and what they are finding out. They are coming up with new solutions more and more every year - more for wet macular degeneration than the dry. (Just my personal opinion). You can be in control of this - as I have seen with my mother. She still has an important part of her sight because of her diligence. It might encourage you to know that after losing the retinal sight in one eye, 8 years later, the right shows no signs of trouble. The injections didn't work for me, but having just one good eye is really not that bad. If one goes, and I trust the injections will work for you, your depth perception suffers a bit, but reading on or off the computer is not a problem. It's not knowing how it will all work out that produces the anxiety, but eventually you get tired of worrying about it and just live each day as it comes. And the longer it remains stable, that's time into the future, when medicine might find better treatments. I know when I first was told I had drusen (2000) the only treatment was with lasers, which left shadows.